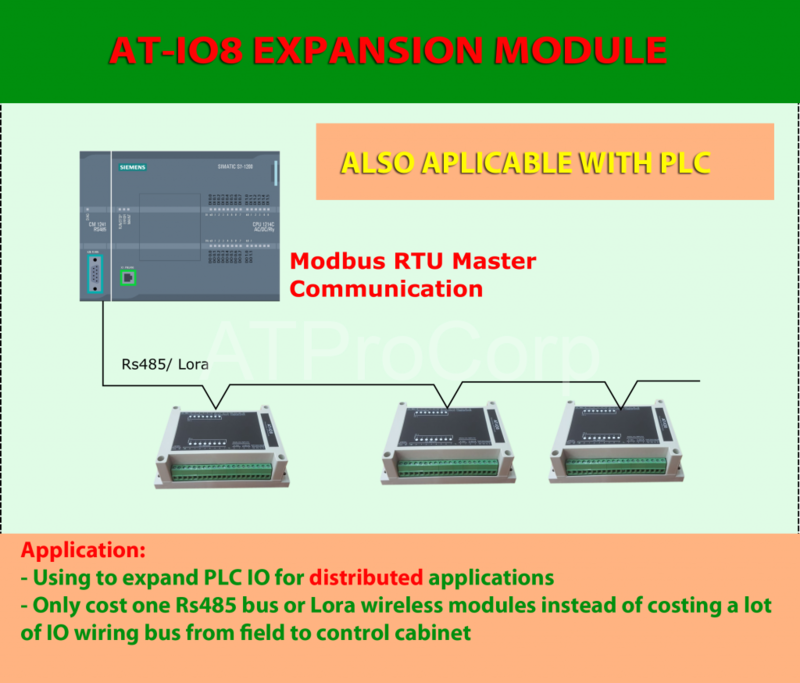 AT-IO8 is a comfortable expansion IO module. 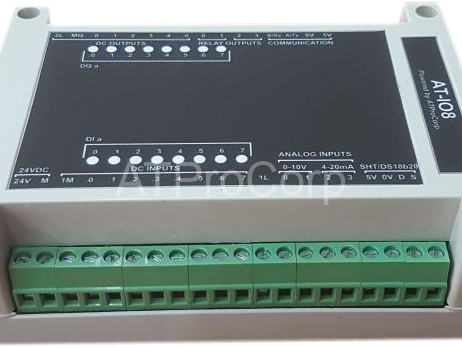 It is suitable for SCADA applications. 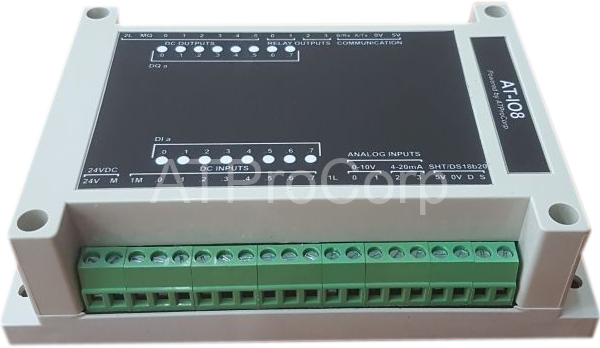 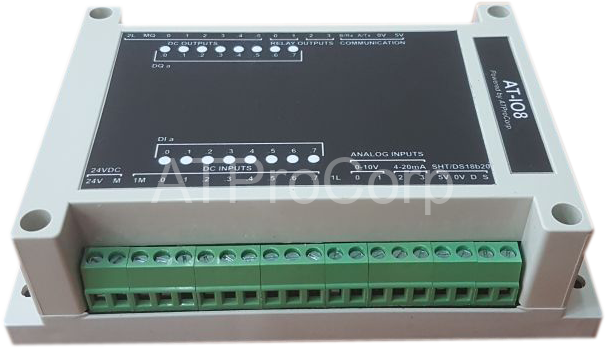 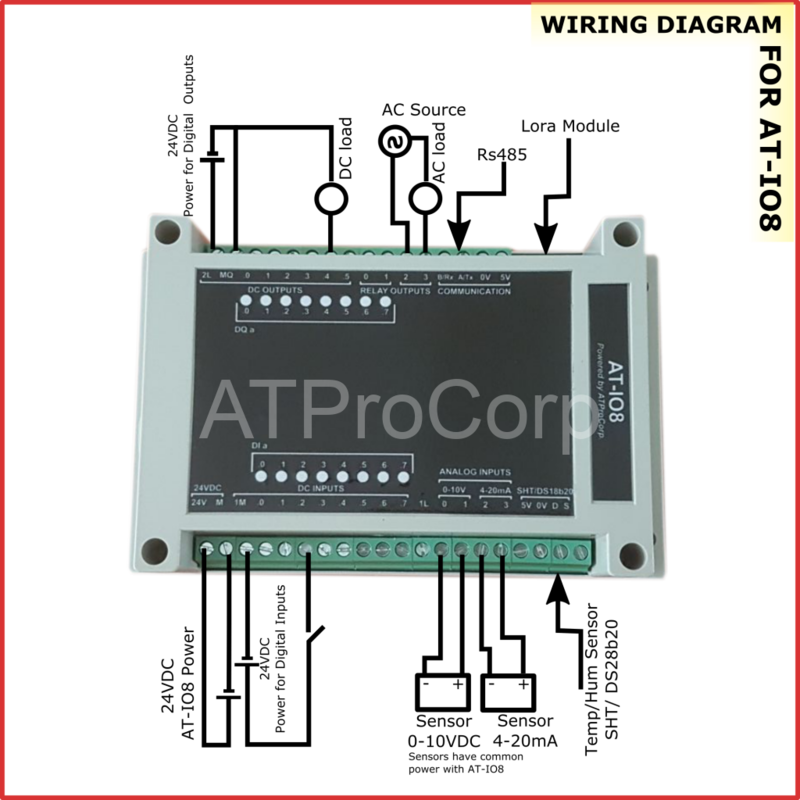 AT-IO8 is used to collect Digital Input, Analog Input, temperature, humidity signals or to control Digital Output without programming. 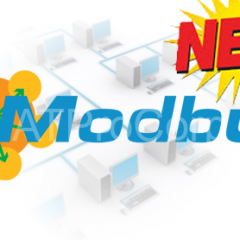 AT-IO8 connects directly to PC running SCADA software or to PLC by modbus RTU protocol on rs485 network or wireless long range Lora network (option). 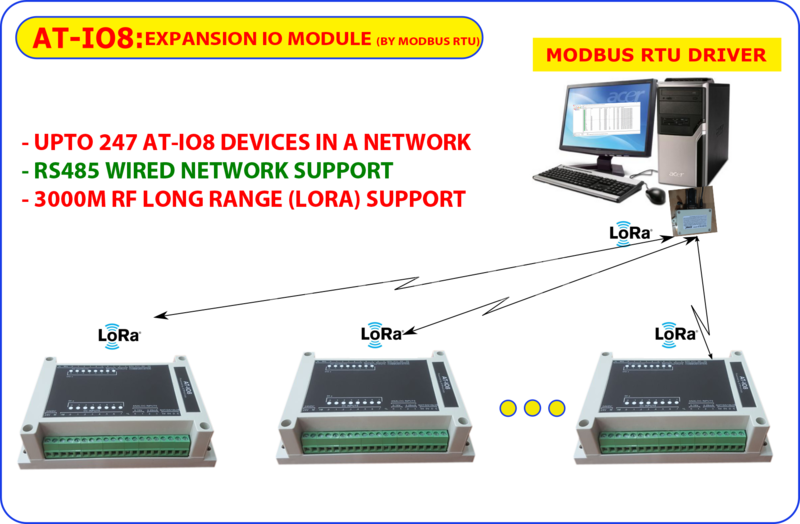 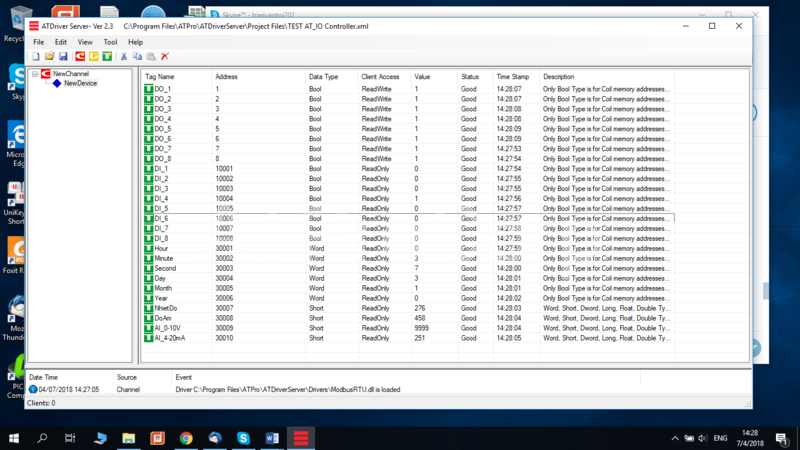 Memory addresses colored green are Modbus RTU addresses that are compatible with IO pins of AT-IO8, you can access these addressess to read/write values of AT-IO8 IO pins.